Looking for a Tigard Oregon Appraiser? A senior appraiser at A Quality Appraisal, lives in Tigard, Oregon. We receive many requests to appraise properties in Tigard and the surrounding suburban areas of Bull Mountain and King City because of our connection to the Tigard community. We are also friends with many Tigard real estate professionals. This experience and these connections have made the staff at A Quality Appraisal intimately familiar with the nuances in the Tigard real estate market. If you need a Tigard appraiser, please consider using A Quality Appraisal, LLC. We’re not just Portland’s Best Appraisers, we are Tigard’s Best Appraisers as well. Please contact us and let us prove it or see our testimonials. To learn more about A Quality Appraisal and our services, start by visiting our Home page. This City of Tigard, Oregon has well-defined neighborhoods, helpful in real estate appraisal,that can be found by clicking on this link. This photo was taken by one of our appraisers of Mt. 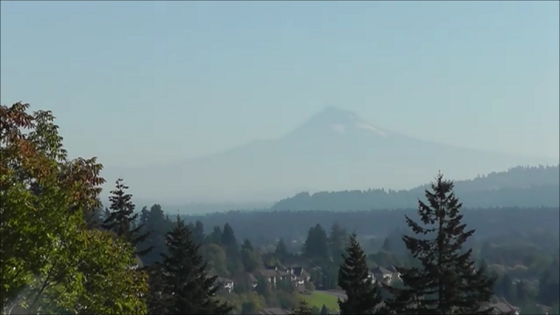 Hood from Bull Mountain in Tigard. Many homes in Tigard have similar view. 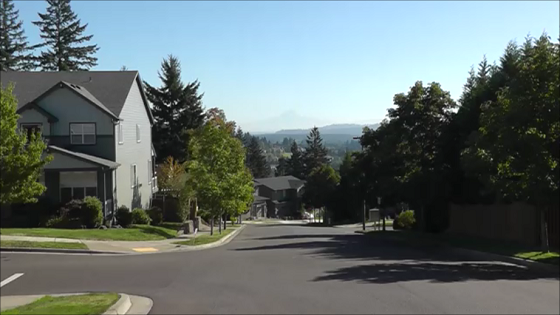 This is a residential street with homes in Tigard, Oregon. Our appraisers feel at home in Tigard. “…you presented your case verbally to me with confidence and intelligence.” William W.